We're only two days away from the Galaxy Note9's NYC event, which means that there's a lot of information on it out already. WinFuture was able to obtain photos of the Note9 in four colors, as well as other images, specifications, pricing, pre-order goodies, and more. Basically the only figure we haven't heard yet is US pricing. Let's talk specs first. 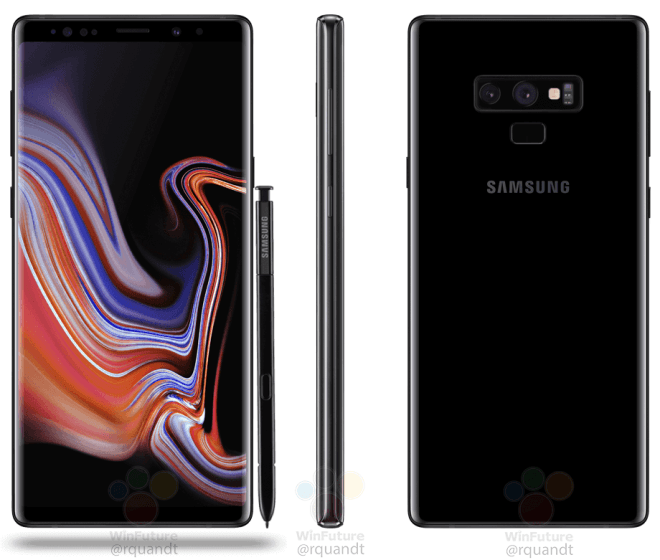 The Galaxy Note9 will reportedly have a 6.4" 2960x1440 AMOLED display, which is slightly larger than the Note8's. It's also less curved on the sides, which should reduce the amount of accidental touches. 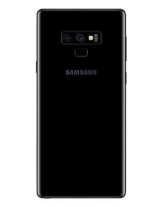 Overseas, it'll have an Exynos 9810, though we're almost certainly looking at a Snapdragon 845 for the US model. WinFuture says that there will be two (UFS 2.1) storage choices: 128GB and 512GB. While the 128GB model will have to make do with a paltry 6GB of RAM, the 512GB version will reportedly get 8GB. 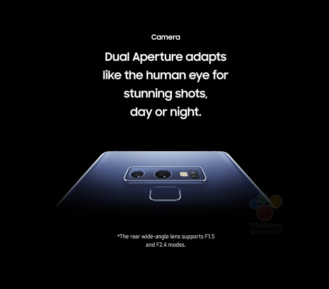 The dual 12MP camera setup is similar to the one found on the Galaxy S9+. 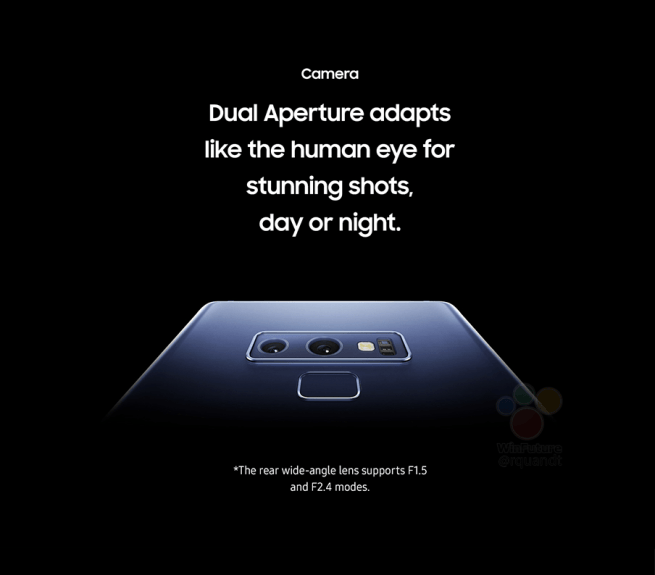 One has 2x optical zoom, while the other's variable aperture tech allows it to switch between f/1.5 and f/2.4. But with the Note9, Samsung says it's "nearly impossible to take a bad shot" because the phone will optimize contrast, white balance, exposure, and more for each photo. It'll also apparently be able to detect blinks and blurs. In terms of battery, it looks like Samsung has heard your cries for a larger cell in lieu of a thicker/heavier phone. The Note9 is said to be 8.8mm thick and 201g in weight, which is 0.2mm thicker and 6g heavier than the Note8. 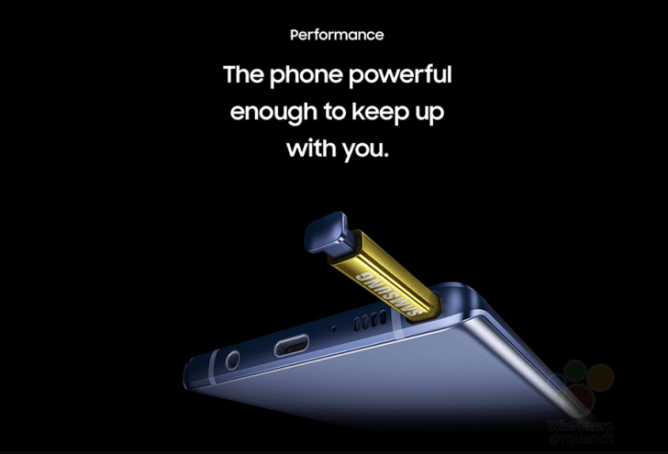 That's likely due to the 4,000mAh battery on board, a decisive improvement over the Note8's 3,300mAh pack. Samsung had to take it easy after that whole Note7 debacle, but it looks like it's figured out a way to use a large battery and keep things safe. As always, fast charging and fast wireless charging are on board. 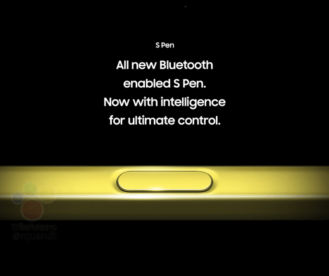 We've already heard about the new Bluetooth-powered S Pen, but Samsung is fully detailing it here. 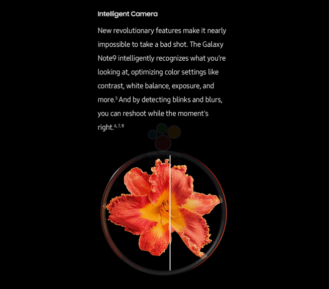 It'll be able to act as a camera shutter and a presentation clicker, as well as control your apps "without touching your phone." We've also heard that you can double-press the S Pen to switch between cameras. 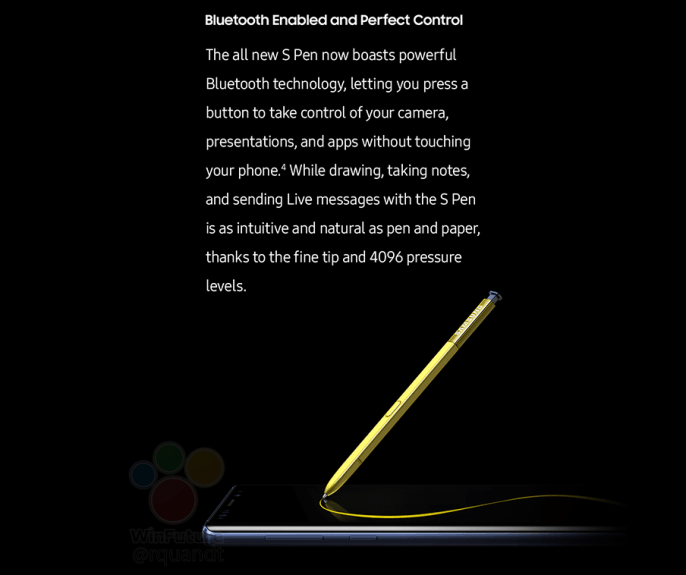 Of course, you'll still be able to write and draw with its fine tip and 4096 pressure levels. Samsung will also apparently sell S Pens in different colors to mix and match, and your S Pen's color will dictate the off-screen memo font's color. Something else we've heard about is dockless DeX. 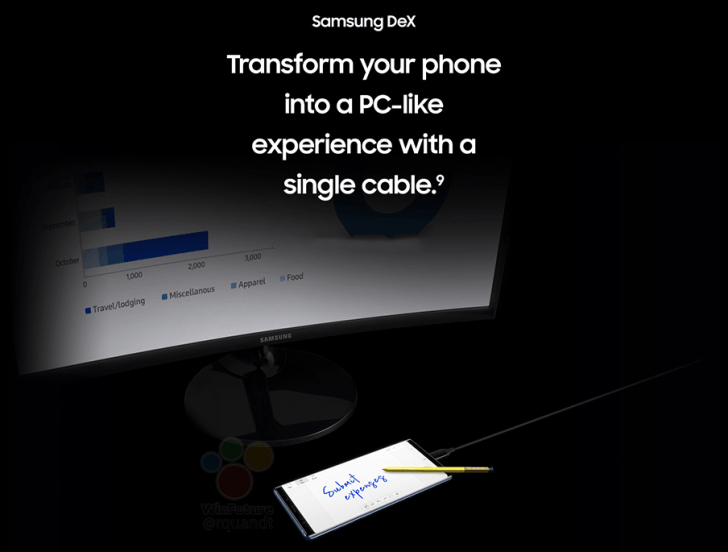 This previously required one of Samsung's DeX Stations or Pads, but it'll now be able to use DeX with just one cable. Notes can be taken on the Note9's screen while you're watching a presentation. You'd be losing the I/O that the docks offer, but you also won't have to pony an additional $50+ up for the dock itself. 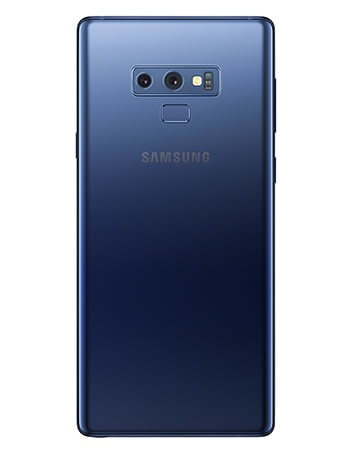 As for pricing, the 128GB and 512GB versions of the Note9 will reportedly cost £899 and £1099, respectively. We don't want to directly convert any numbers, but for reference, the 64GB Note8 launched in the UK at £869. It's safe to say that we can expect a slight price increase, but it'll likely be offset by the additional storage. If there's one thing to be disappointed by, it's the pre-order goodies. 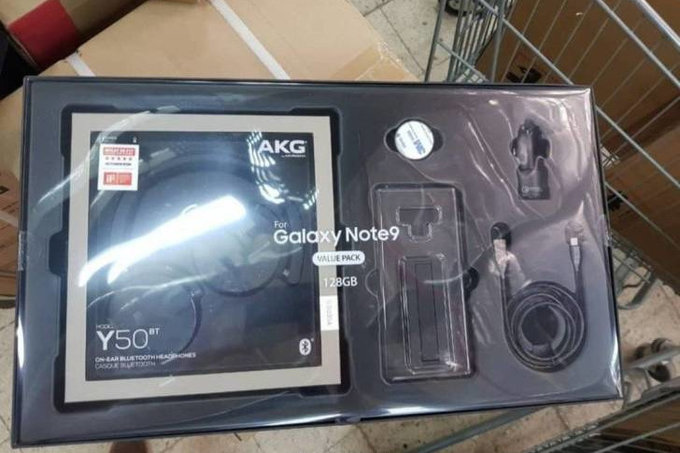 There will be two options: 15,000 Fortnite V-Bucks or a 'Value Pack' with the AKG Y50BT headphones, a clear case, a car mount, a car charger, and a cable for dockless DeX. Throw Samsung an additional $99, and you'll get both. Here's the thing, though; the Y50BT headphones aren't particularly good, in spite of what the AKG brand might lead you to think, and while they "retail for $299," you can find them on eBay for around $70-80 new. The Y50BT has also been included in Samsung pre-orders before; I got them with my Galaxy S8+. They're not very comfortable and don't sound amazing. Given that most people won't want the Fortnite cash, it looks like they'll be stuck with the Value Pack. 1: Midnight Black. 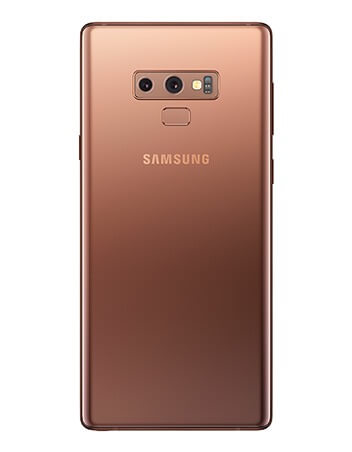 2: Metallic Copper. 3: Ocean Blue. 4: Lilac Purple. 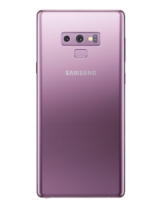 The Galaxy Note9 will come in four colors: Midnight Black, Metallic Copper, Ocean Blue, and Lilac Purple. However, Lilac Purple won't be available at launch. The colors of the S Pen will now correlate to each phone's - the Midnight Black phone will get a grey pen, the Metallic Copper phone a brown pen, and the Ocean Blue one a yellow pen (like the one we've seen in all the ads and leaks). Of course, Samsung will have a plethora of cases as well. Pre-orders will begin shortly after the announcement on August 9th and will run until August 23rd. Phones should start reaching customers on August 24th.